Carhartt Work Truck Covers bring classic styling and modern protection to the job site or driveway. 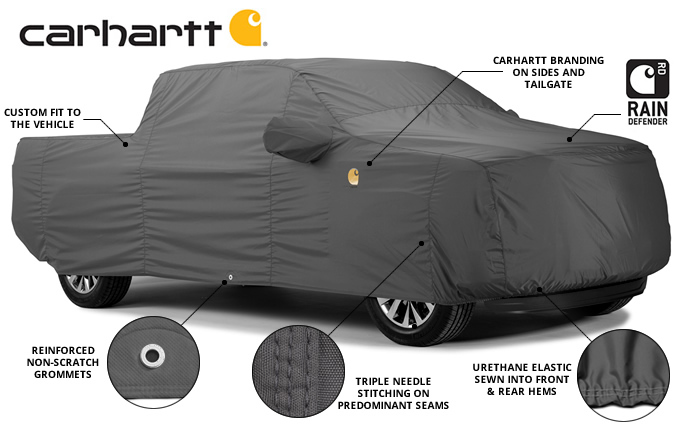 Protect your truck with a Carhartt Tough Truck Cover. Carhartt brand logos on the sides and tailgate area. Rain Defender technology Premium all-weather Ultra'tect fabric a Covercraft Exclusive! Rain Defender Technology - Outdoor or Indoor Use. Carhartt Branding Logos on sides & tailgate. UV, Dirt & Dust Protection. 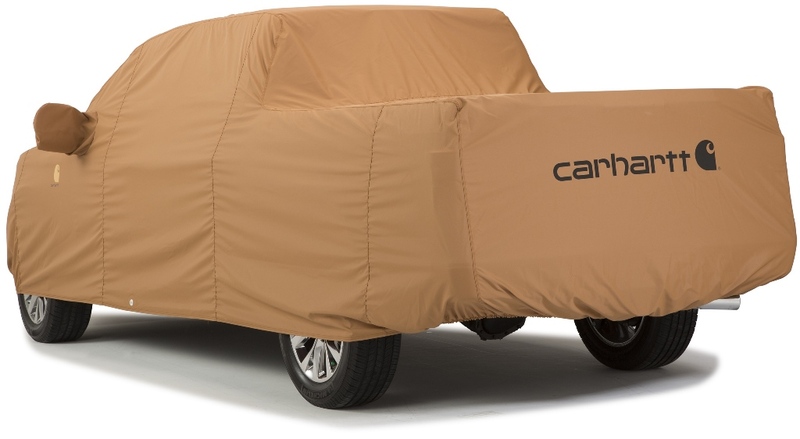 Covercraft Carhartt truck covers 2 colors Carhartt Brown or Carhartt Gravel Gray.